Observing the Parliament of Malaysia or indeed any of Malaysia’s 13 state legislative assemblies and it is noticeable that the corridors of power are packed with the elderly. There are no elected politicians between the ages of 15 to 24 in the country, and more than 70 per cent of parliamentarians are above the age of 50. This is not a coincidence — Malaysian youths face various forms of resistance culturally and institutionally when it comes to political participation. As a young person ascends the political ladder via party branches, they often find themselves sidelined in favour of older party members who have waited a long time to contest an election. The Asian mentality of filial piety creates a form of oligarchy, which has meant that Malaysian youths are often making way for older, but not necessarily more capable candidates. One of the few means by which younger politicians are able to break into the political scene is if they have family already in politics. One of the youngest members of parliament in Malaysian history is current Prime Minister Najib Razak, who was elected at the age of 23 in 1976. This was primarily due to the fact that he ran for a seat which was held by Abdul Razak (his father and Malaysia’s second prime minister, who had passed away that year). 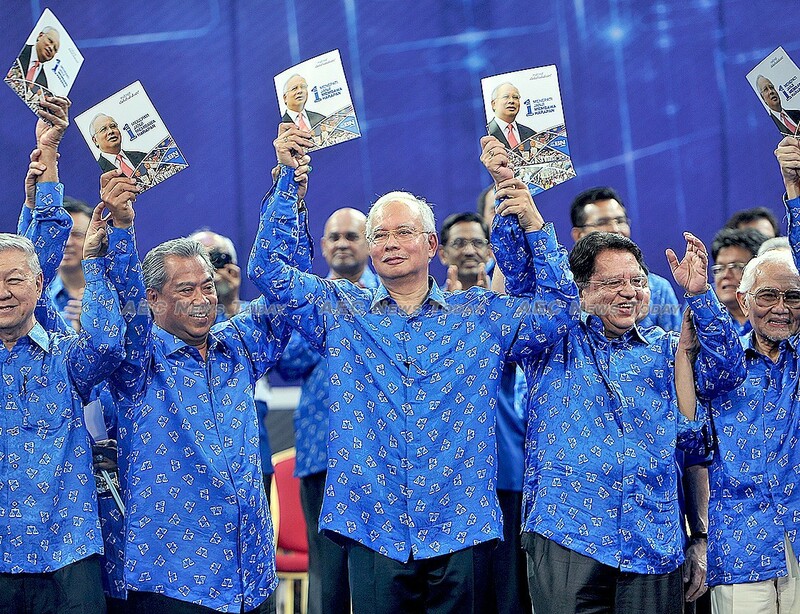 Najib won unopposed out of respect for the late prime minister. Senior politicians elevating family members is not exclusive to the ruling Barisan Nasional (BN) coalition. Lim Guan Eng, the son of Lim Kit Siang and the de facto head of the Democratic Action Party (DAP), was elected to the Parliament in 1986 when he was 24. De facto leader of the Justice Party, Anwar Ibrahim’s daughter Nurul Izzah, was elected to a parliamentary seat when she was 28 during the 2008 elections. This may not necessarily be political nepotism: it could merely reflect older family members teaching their young the ropes, or it could reflect that these younger politicians have gained the vision and aspiration to pursue a career in politics of their own accord. Nonetheless, having a family member in a senior political position undoubtedly clears the way. There are also legislative barriers discouraging Malaysian youth from getting involved in politics. 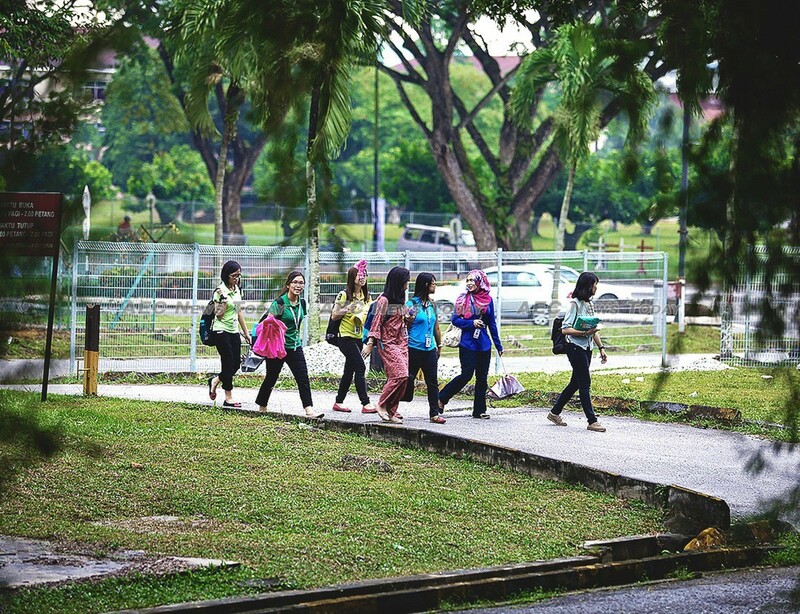 Malaysia’s Universities and University Colleges Act (UUCA) prevents students from being involved in politics. 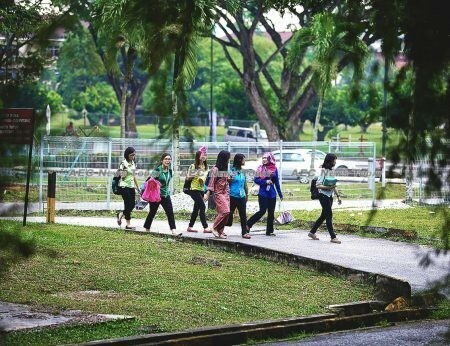 In 2010, four students from a public Malaysian university faced disciplinary action for their alleged involvement in a by-election. Court action found that the particular provision in the UUCA was unconstitutional and the Act has since been amended. Tertiary students can now, in theory, become members of a political party, but the Act continues to disallow active political participation. The situation is made worse by the fact that political parties are not allowed to set up branches in universities. Falling political interest, particularly among young upper middle-class opposition voters, has further escalated with Dr Mahathir Mohamad’s return and alliance with the opposition. Many youths from these parties are unable to reconcile working with an arch foe whom many blame for Malaysia’s current woes. Dissatisfaction is being voiced through the #UndiRosak (spoilt votes) movement, which is urging voters to spoil their ballot deliberately in a show of protest towards both the BN and the opposition parties. Youth in Malaysia feel that their votes will make little difference to an election outcome, or that no party is different from the other. Many opposition supporters are unable to be optimistic as three-cornered fights will take place between the opposition Pakatan Harapan (PH) coalition, the ruling BN coalition and the Pan-Islamic Party (PAS). The result will likely see many marginal Pakatan seats recaptured by Barisan. In the previous two elections, the opposition was able to gain ground as they agreed to reconcile their differences and instead compete with one another in a unified struggle against BN. This advantage is set to diminish substantially in the upcoming election. Recent polling found that 70 per cent of Malaysian youth have no interest in politics, while as of August 2017 there was as many as 3.7 million people between the ages of 21 and 30 who had not registered to vote — a number that is large enough to alter the election outcome. Such phenomena are observed throughout the region as youths show general reluctance to be politically involved. This trend is particularly worrying when one considers the prospects for Malaysia’s political future — the youth of today, who will inevitably become the leaders of tomorrow, will be unprepared and lack experience. To mitigate such an outcome, parties must show sincerity towards youth involvement in politics and deliberately create opportunities for their voice to be heard. This will be to the benefit of the various parties as youths are able to better relate to the needs of other youths, who currently comprise the largest segment of the adult population — an opportunity for vote capture that parties should recognize. Malaysia needs to realize that age and competence are separate matters. Until such changes take place, the prospects for Malaysian youth taking an interest in politics will remain wishful. This article was written by Voon Zhen Yi, a manager of Programme and Research at the Centre for Public Policy Studies (CPPS), Malaysia. It first appeared on East Asia Forum under a Creative Commons License and is reproduced here with its permission. Malaysia’s 1MDB scandal: the heist of the Ccentury?